The Chief Justice of India, Justice T.S.Thakur, while releasing a book in New Delhi, fondly recalled Justice Kapadia. "I was selected by Justice Kapadia for the Supreme Court judgeship, when he was the senior member of Collegium. He came to my swearing-in ceremony especially from Mumbai. He had the habit of cracking jokes during any conversation", he said. The function, organised to release G.P.Singh's Statutory Interpretation, revised by Justice A.K.Patnaik, and published by LexisNexis, began on a somber note, with everyone observing two minutes silence. Justice Patnaik felt the loss of Justice Kapadia more than others because only yesterday, he had chaired an arbitration hearing along with him and Justice Variava in Mumbai. He said he was shocked to hear the news after reaching New Delhi for the function, and asked his wife to verify the news. Justice Patnaik said Justice Kapadia asked him to write his next book on arbitration, for which he said it was not his forte. Little did he realise while parting that Justice Kapadia would be no more within a few hours, he said. Speaking on the book, "Principles of Statutory Interpretation", Justice Thakur asked why there should be a book on statutory interpretation, when there is presumption of legislative wisdom. ​Pointing out that there is lack of clarity on statutory provisions, he said, with diminishing skills of craftsmanship, it has led to increasing litigation, and a lawyers' paradise. With more confusion in legislation, the more the need for such a book, he said, and added that there is hardly a situation you may not require it. Eminent advocate, Soli J Sorabjee who spoke on the occasion, recalled his first appearance before Justice G.P.Singh in the Madhya Pradesh High Court. 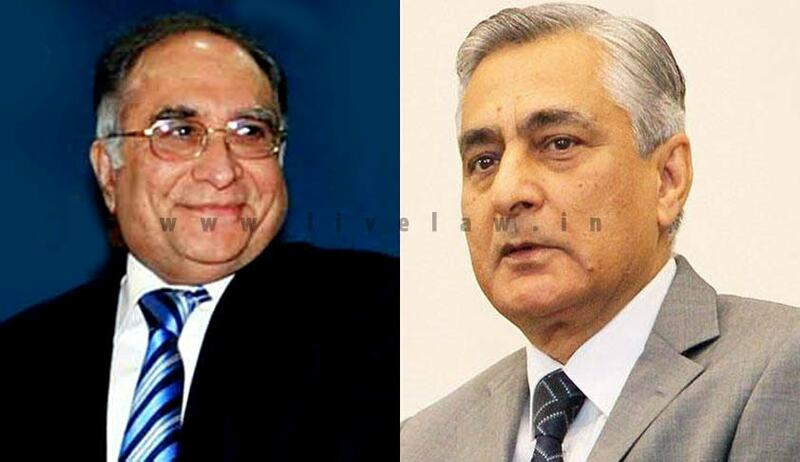 When Justice Singh, in the course of arguments, reminded him about some foreign journal article, which had critically commented on a legal point referred to by Sorabjee, he said he was astonished, and asked his friend the name of the Judge on the Bench. When he was told he was the author of Principles of Statutory Interpretation, it led to a life-long association with him thereafter, he said. Justice Patnaik recalled that his decision to undertake the responsibility of revising the book stemmed from his promise to Justice Singh when he was alive. Justice Patnaik wanted to write Justice Singh's biography, and asked his son, Justice Ajit Singh [currently acting Chief Justice of Rajasthan High Court] to take notes by talking to him, and pass it on to him. Justice Patnaik revealed that according to Justice Ajit Singh, Justice G.P.Singh did not cooperate with it. Justice G.P.Singh did not like the idea of a biography on him, instead, asked Justice Patnaik to work on revising his book. Justice Patnaik also said Justice G.P.Singh could not make it to the Supreme Court for various reasons. But the question why he did not get any award intrigued him. So he asked two law ministers, one in the UPA Government, and another in the NDA Government why he was not being recognised through a Padma award. The ministers agreed that he deserved it, but also added that he would have refused it. Justice Patnaik said as the revising editor, he had only updated it, wherever the law has changed, keeping Justice G.P.Singh's original writings unaltered.